h1 & h2 tag generator! Why & How? Will It Get You Banned By Google? Discussion in 'Search Engine Optimization' started by jvfconsulting, Oct 17, 2008. When you hit their homepage view the source and you will see one h1 tag and one h2 tag. Examine them closely, refresh the page, and then view the source again and you will see their h1 and h2 tags have changed! Every time you hit their page you get a different h1 and h2 tags that are hidden in a stackable div in the top left corner that is not visible on the page at all! Is this an illegal tactic? What is the thinking behind this? Does it really work? Any information would be greatly appreciated! Wow, maybe nobody here is familiar with this technique? Add to this the changing of text in the tags, You ask a good question? But look at the CSS and the versions. No of this is needed for a "Flash" site. This is a great example of how you can SEO a Flash site. Search on "Digital Marketing Company" on Google, Yahoo, and MSN. So are you asking if the is cloaking with a capital "C" or lowercase "C" or can a Flash site without on-page SEO rank #1 or 2 out of 12,000,000 on all SEs? Can any of the DP experienced SEOer show us how they are doing this? Thanks for looking into this catanich! Looks like this may be a new technique that people here are not familiar with? I hope someone can shed some light on this. My best guess as to the purpose of this is that they're trying to make it look like the page is being updated frequently; this will make Google crawl it more often. That does make sense apatters. I wonder if they do that for their customers? It seems like a good idea to me, I highly doubt Google would ban anyone for it. I mean, some sites will have a quote-of-the-day type of feature that puts up a new quote every time you refresh; there's nothing illegitimate about that and Google wouldn't want to ban those sites. I may incorporate this technique into my own sites in the future. But what will be the targeting keywords if the H1 and H2 will change every time you load the page? If they are targeting at "Digital Marketing Company", are they just changing the h1 and h2 from time to time in order to "tell" the engines that the page is updated from time to time? And it seems to me that the text of H1 and H2 are put underneath the flash object (I didn't measure the pixels, but margin-left:100px; margin-top:140px is highly probably a position under the flash object, and flash object will usually become the most upper layer). Will this mean that they are hidden text. I just wonder if this will be banned. It is strange to me that they are still using such "hidden text technique", Do they need to flash object in this page? I really doubt. I would not use hidden text or try to stuff the rotating text with keywords. I would just use the rotating text technique to encourage Google to come visit more often. That is what I feel strange. I have used such technique before but I did not use this to rotate the words in H1 and H2. No matter it is hidden text or not, will changing H1 and H2 every time the page is loaded do harm to on page SEO? I do not see any of the h1 tags ever on their page as readable text. To me this is hiding text and is considered ban able material in Googles rules. hidden text punish my website ? Hidden text can indeed get you banned, though having done a bit of both browser and search engine development in the past, I can tell you that it can be almost impossible for the search engine to predict how browsers "should" lay out a page... Google must be very conservative about enforcing this rule algorithmically. 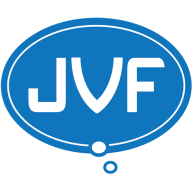 Anyway jvf, I just took a look at the ICrossing site again. If you look closely you'll see that there are five different splash screens you can page through in the Flash applet. Each of these splash screens has a header and subheader. Sure enough... these are the five header/subheader pairs that are being cycled through the h1 and h2 in the code. So, you could get into a semantic debate about the meaning of "hidden text," but fundamentally I don't think they're doing anything naughty here -- the text that shows up in the h1 and h2 tags does actually show up on the page, viewable to users. My interpretation of Google's guidelines is simply that they don't want you to have a bunch of text in your code that users will never see; by that interpretation what ICrossing is doing is legitimate. No one but ICrossing can really tell you why they choose to rotate through those 5 slogans in the h1 and h2. However, I would point out that there's not a lot of text on the page to begin with, and it wouldn't make sense to randomly rotate the text of stuff like menus. They may not have a lot of other options for varying the content of the page. I'll admit I've only skimmed this thread . . . . but it one is randomizing content, the obvious SEO idea there is to "trick" spiders into thinking this content is getting updated frequently. However, why randomize the heading tags? That doesn't make sense to me as I see these as primary key word phrases "anchors" as it were. Why not randomize the paragraph content instead to keep the heading tags solid for target phrases yet still always provide "fresh" content?